Discussion in 'User Projects' started by SG-O, Jan 30, 2016. DecredJWallet is a GUI for the command line based Decred Wallet. It is entirely written in Java which makes it cross platform compatible. It communicates with the official Decred binaries using the JSON-RPC interface. Besides the standard wallet functionality it offers a QRCode generator, automatic self update and installation and updating of the official Decred binaries (for now Windows only). 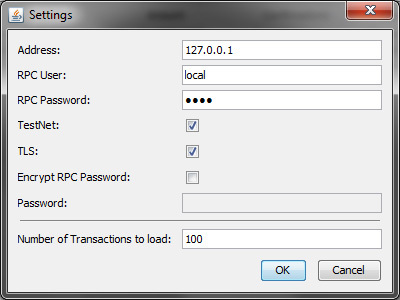 The GUI is open source and under constant development. Image is derived from a work by Reggie Sanford which is licensed under a Creative Commons Attribution 4.0 International License. This version can update and install the Decred binaries on Windows, Linux (x86, x64, arm) and Mac. On other platforms you will have to provide these binaries yourself. The application is able to self update on almost all platforms. AnarchyZeroes, Scott Briggs, zkott and 10 others like this. Very cool. I started something similar for myself as I was tired of utilizing the command line already. I would be greatly interested to see how yours is shaping up. 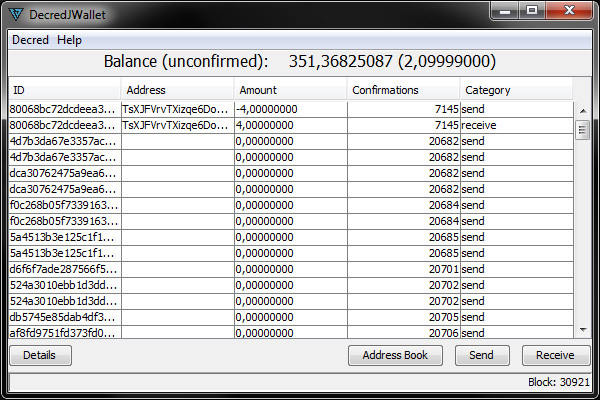 I just released a windows only binary version with very limited functionality for right now (view transactions/balance). 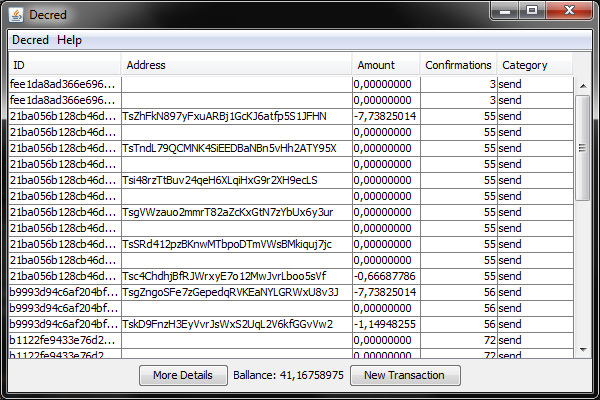 Transaction generation should be fully working by tomorrow. Scott Briggs and Akai like this. I hope that I can soon show you all a first version, but having to implement things like RPC and JSON took more time that I expected. When I'm finished with all of the backend stuff, there should be at least a good base to expand, including an implementation for Android. If I find the time I will definitely look into your stuff. Scott Briggs, Bruno Henrique, tacotime and 1 other person like this. Sounds good. Best of luck. Will keep an eye out. One of the goals of having a separate wallet daemon was so that multiple front ends are possible. I'm happy to see there are folks out there making it a reality! Scott Briggs, tacotime and BrandonReynolds like this. Most of the buttons functions have been implemented, only minor things are missing for a first release (Like the About dialog). Scott Briggs, Estb, marcelocoin and 10 others like this. Looks good. Simple is always a good thing. 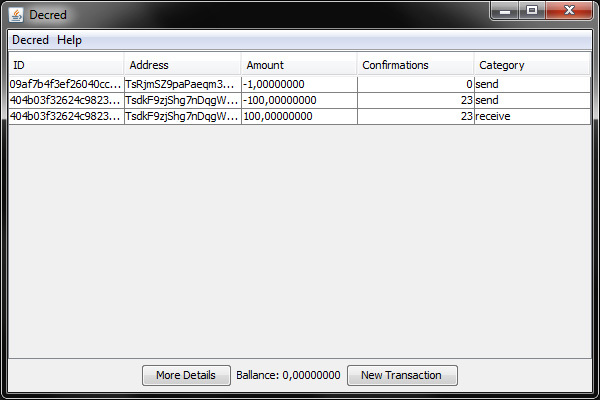 I just finished debugging the first version of the GUI (I called it DecredJWallet). 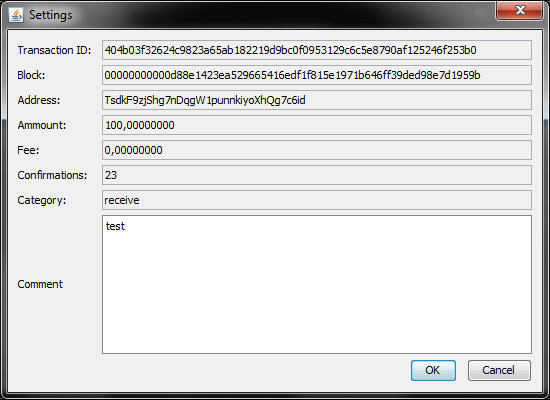 Just copy the jar file from the archive into the folder containing the dcrd and dcrwallet executables and start! This version has only been tested on Windows 7, so on other OSes it might not work completely or even at all. jinlei, marcelocoin, David and 3 others like this. Thank O SG facilitate a 99% using Decred , for beginners who are not very good at command line. koolykg and anondran like this. At this moment you will still have to create your wallet using the command line, but I'm working hard on integrating the wallet setup procedure into the GUI. Another important thing I am working on is a secure auto update function. Bruno Henrique and anondran like this. Amazing work SG! Do you require any Testnet Decred for your own testing. _ingsoc was kind enough to send me a nice chunk for my appliation's testing. Happy to toss your way in a few transactions to work with. @BrandonReynolds Thanks for the offer, I've been mining since Testnet started and I have mined over 600 dcrd. So I am in no need of funds. But sending small amounts for testing stuff would be great! Not a problem. Toss me your Testnet address. We can kick some tx's back and forth for testing purposes as needed. I have about 2700 avail. I just sent you some coins to your address in your signature. I just released a new version it includes a brand new Auto Update feature that can also update the Decred binaries from GitHub. Also some minor Problems were fixed. Although most of the GUI work is done for creating a wallet, I still have a problem with the decrwallet which prevents me from fully implementing it. ClokworkGremlin, Aniara and Emilio Mann like this. The GUI now works with the MainNet! If you have enabled automatic updates in Version a2 you will be prompted to do so if not you may download the update manually. Please note that the automatic update of the official Decred binaries currently only works on Windows when auto update is enabled! 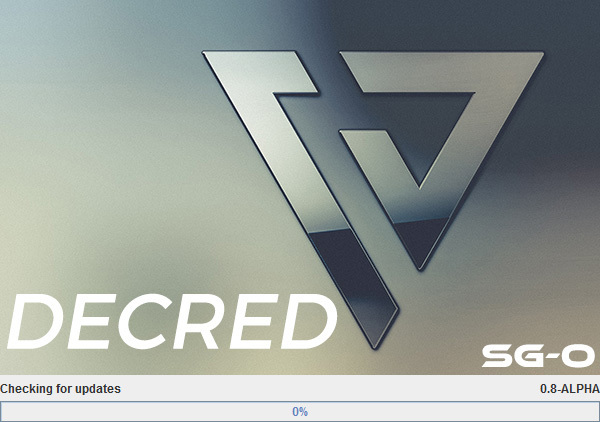 For this version to run you will need the latest Decred version. Akai, BrandonReynolds and ClokworkGremlin like this.